Test Carly now! 30-day return policy! 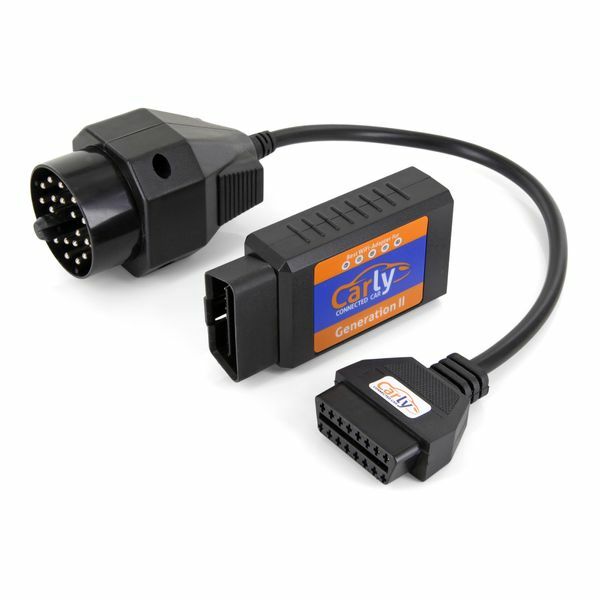 This Carly Adapter supports all BMW and Mini car models from 1996 until now! This original Carly Adapter supports all BMW and Mini car models build in 1996 and after. Find out which Carly features are available for your vehicle. Carly offers you a broad variety of features, which allow you to analyze, personalize and maintain your car yourself and therefore, save the costs a workshop would usually charge you! Save money by using Carly! Workshops usually charge anywhere between 50$ and 100$ to run a car diagnostic for you. Therefore, the Carly adapter has already paid off after the first use! All control units are analyzed, and the error codes are read out. The analysis corresponds to the manufacturer 's quality. Live monitor all motor parameters, analyze like a professional, for example, temperatures and pressures. Customize your car and unlock hidden features, e.g., digital speedometer, start-stop automatic switch off, US daytime running lights. Regenerate NOx catalyst at the push of a button and check. All control units are read out and compared to check whether someone tampered with the speedometer. Real engine sounds through manual control of the exhaust flap even while driving. Even reset service intervals and save money. Register a new battery yourself and save costs. Control your electronic parking brake with the press of a button. Reset the automatic transmission, e.g., to relearn the car when buying a used car. Find out which functions are available for your car! 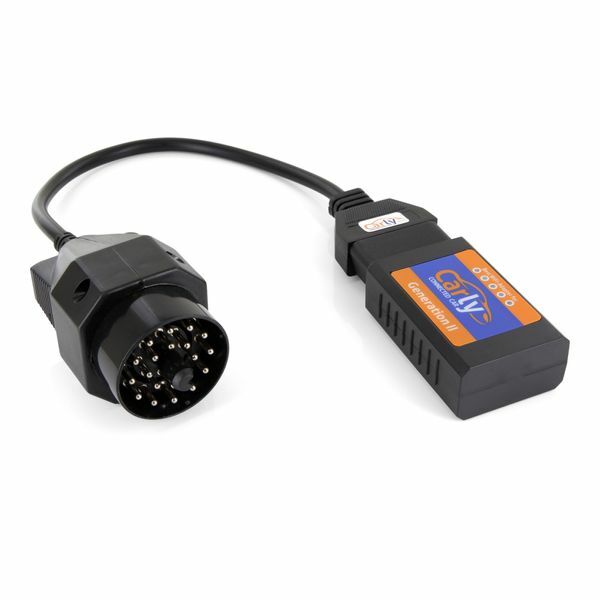 Purchase the original Carly OBD adapter, which can be used for multiple cars. You can check the available Carly features for your vehicle using the free Carly Lite version App. If you are not satisfied, you can return the adapter to us within 30 days. Lite version: The free Lite App allows you to test which functions are available for your car (iOS/Android). In addition, you receive one free car diagnosis and one free used car check. Full version: The full version includes all Carly features availabe for your car. "I could uncover a manipulation before buying. Now I am very happy that I can be sure I own a car that is not tampered with. That's a nice feeling. Thanks a lot." - Marcel P.
"2 manipulated F10 BMW 5 Series, a 535d, and a 525d, not bought and very grateful! Great work and keep it up! " - Martin R.
Find the most frequently asked questiones here. Does my car warranty expire after using Carly? The app does only enable you to use "safe" features. More than 10m people worldwide use our app, and we have never been informed of any impacts on a car's warranty. What should you do if you need help? We have a group of experts that can help you with any problem. There is no technical barrier that we do not dare to overcome. We guarantee that we can handle all solvable cases - we offer you world-class customer service! Is the adapter limited to a certain number of vehicles? In contrast to similar systems, Carly is not limited to a certain number of vehicles, allowing you to analyze, personalize and maintain as many cars as you want to using Carly. How do I know what features will work for my car? You can check the available Carly features for your car model here. Besides, we offer you a 30-day test period for the Carly adapter during which you can test the functions of the app using the free lite version. You can send the adapter back to us within the given period in the case that you are not satisfied. Please contact us if you want to do so. What is the difference between the Carly app Lite and Full version? You can test all feature available for your car using the free lite version. In addition you will get one free diagnosis and one free car check. The full version allows you full and unlimited access to all features available for your car. Does the price of the adapter include the full version of the app? No, the adapter purchase does not include the app full version. Find out more about the app here.